A 12-year-old girl and her younger brother go on the run in the woods of northern Idaho, pursued by four men they have just watched commit murder - four men who know exactly who the children are and where their desperate mother is waiting patiently by the phone for news of her children's fate. 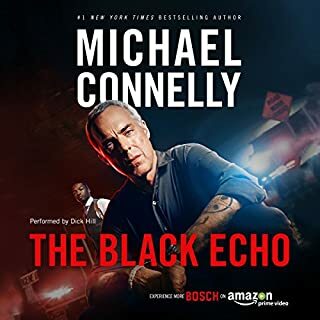 In a ranching community increasingly populated by L.A. transplants living in gaudy McMansions, the kids soon find they don't know whom they can trust among the hundreds of retired Southern California cops who've given the area its nickname: "Blue Heaven". This program also includes a sneak peak of the first chapter of C.J. 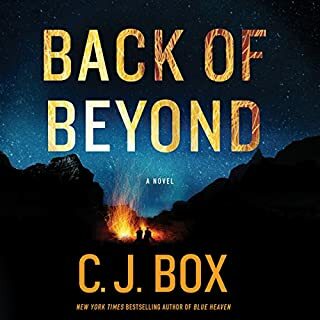 Box’s newest novel BACK OF BEYOND. Would you ever listen to anything by C. J. Box again? What character would you cut from Blue Heaven? 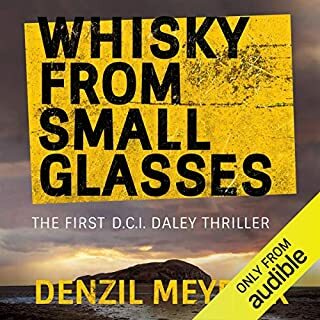 I bought the book because it was one of the contenders for the audible listeners award, I love mysteries and thriller - this has been pretty much the best I have listened to in a long while. It has a really interesting story line, believable characters one can get involved with. Intelligent entertainment that is also exciting with a lot of nail biting tension. Not another 'formula installment' in a long series! Quite refreshing - I keep thinking about the story. Good narration too - go buy it! This is the first time I have listened to anything by CJ Box and I was pleasantly surprised. When a cache of former LA cops enters the Idaho valley, nothing seems amiss at first glance. But then Annie and William witness a murder and things change dramatically. Nothing is as it seems, which not only poses problems for the children, but for everyone in the town. At this point, trust becomes an unlying theme at nearly every turn. 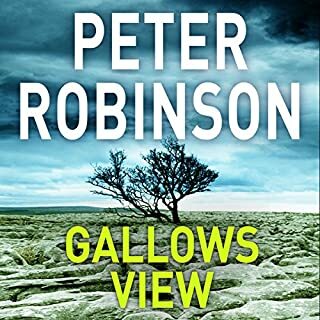 Cleverly evading both the killers and subsequent town-wide search volunteers, the children happen upon a barn owned by Jess, a long-time rancher who is having problems of his own. 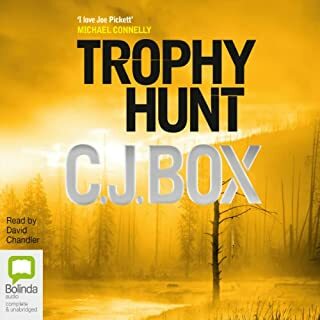 From there the book is not so much a mystery as it is suspense, which CJ Box is able to maintain for the rest of the book. Remorse and retribution are added as elements of the human condition and the listener is further drawn into the plot asking "I wonder what I would have done?" The end is appropriately frustrating because not everyone rides off into the sunset happy. The battle of good versus evil doesn't end fairly although the listener wants it to end that way. Nevertheless, it's understood that the tale accurately mimics real life which is, in its own way, satisfying. C.J. Box has managed to write a Western novel, with all the standard elements, silent but tough cowboy, horse riding escapes, quintesential bad guys, and mysteries from the past. But all occurring in the present, where the culture of the last truely Western states are under assault from land hungry West Coast dropouts. No copouts either, both good and bad guys get hurt and die. But the best is that the characters and their actions make sense in context. A completely compelling read (well, listen). 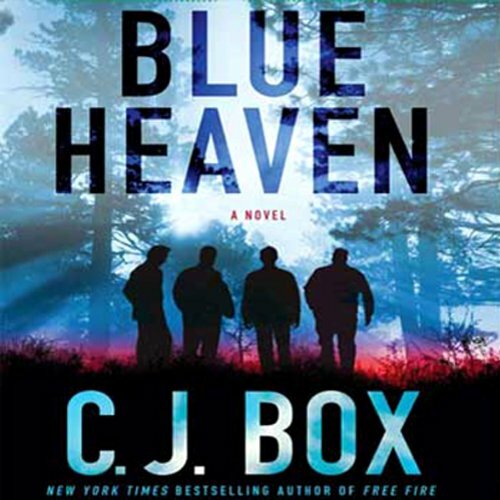 "Blue Heaven" was my first Audible listen in 2011. Fortunately, it was a great experience for me, and I have read almost all of CJ Box's novels since that time. I came back to write this review now, because of all of his novels, this one was my favorite. 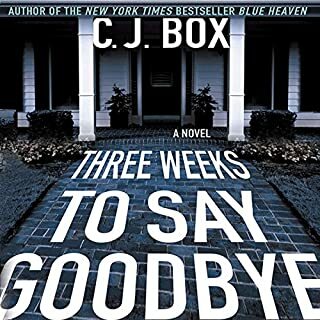 Box is a fantastic writer, and I have liked all of his books. But this one is the most down to earth, and I believe the one that best captures that natural surroundings of the American West. John Bedford Lloyd, who is in my top 3 narrator list, deserves a large part of the credit. His narration nails the "cowboy" and "rancher" roles. If you passsed this one by, go back and listen. It will be worth your time. This is one of the best books I have ever listened to. Non-stop. I stayed on the edge of my seat. I'd never even heard of C.J. Box. I'm now in the process of reading everything he's written. What a treat!!! New group of characters for CJ Box but the ethics haven't changed. Greed trumps all in the lives of a few retired police officers/race track robbers. These men are willing to stop at nothing to protect their money and kill men, women, and children, to keep their stolen loot. On the flip side of the coin there are a group of characters that have spent a lifetime being abused by their environment and people they thought could be trusted. These are the circumstances that build to a hard conclusion to this story. This story grabs you early and does not let go until the last word. If you love the life outdoors and an individual pursuit of an honest living, C.J. Box delivers. Characters have situations you could imagine yourself in the same struggles. The author continues to reveal his love of family and childred in his books. For me, it started slow as some of the characters were developed. It took hold by mid way, and held me tuned right through to the end. I enjoyed it, and would recommend. The plot has a brisk tempo and kept me interested. However, there are some flaws that may deter me from buying more books by this author. The chief problem is that the characters' actions are simply illogical. When confronted with problems, they do not try the most obvious solutions that normal people would attempt. (I must be vague to avoid revealing any plot.) This makes the characters less believable and the story unrealistic. THIS GRABBED MY ATTENTION AT THE BEGINNING AND DIDN'T LET GO UNTIL IT WAS OVER.